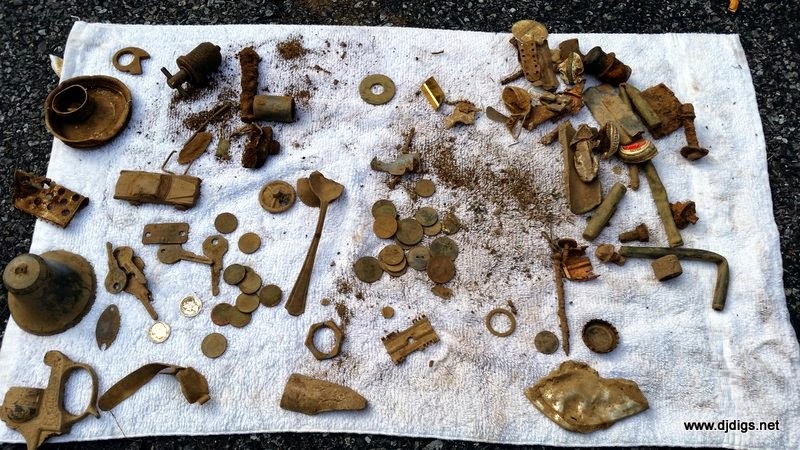 Last weekend my friend Jeremy and I set out for what we thought was going to be a promising site. It was an old stone home, built in the early 1800's. Jeremy had already acquired permission. Everything was going great... until we got there and she wasn't home. We were bummed. Some folks may have hunted anyway, because we technically did have permission. But we just didn't feel right without the homeowner present, so we decided to come back another day. So there we were at 8:30 in the morning, in a different state, with nowhere to go. We sat in the car for a few minutes and tried to figure out what to do. We concluded that it was time to put our game faces on and do some good old fashioned door knocking. In my hometown, I'm very comfortable with this; but being in foreign territory, I wasn't feeling confident at all. Most of these homes were old farmhouses with long driveways. It feels like you're intruding on their privacy, and in a way, we were. At 8:30 on a Sunday morning. Now this area is old - we're talking farmhouses from the 1700's, mixed with farms from the 1900's, along with modern homes. We drove until we found one that looked promising and pulled into the driveway. You know when you have a feeling that something bad is about to happen? It felt like a scary movie. I was trying my hardest not to imagine the worst case scenario. We could tell they didn't use the front door, so we walked to the side door. 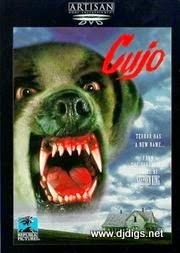 And within feet of approaching, we were greeted by a large angry dog. After realizing the dog was secure (he was barking and ramming into the glass door) we could see past him, where the family was eating breakfast. I thought, "Oh, man. This isn't going so good..."
Over the vicious barking, we heard a stern "Can I help you?" and he directed us to the other side door - the one on the opposite side of the house. So we walked across the property and finally met the homeowner. The first thing I did was apologize for interrupting their meal. Then I told him what we wanted to do and why we were disturbing their breakfast. 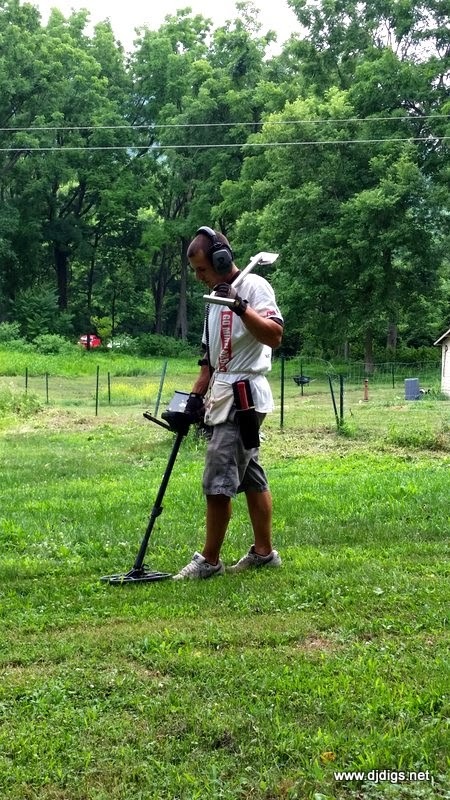 Now this is great: his response was, "Well, I own one of the best metal detectors out there." I asked him what kind and he said, "It's a White's." If you know me, you know I'm head to toe in White's gear. I told him that I'm a White's man myself. And from there, we hit it off. Usually when a homeowner tells me he has a machine of his own, we get denied right off the bat. But this guy was different - he was genuinely interested in the hobby and what we might find. He said at one point he marked about 100 signals with golf tees throughout his property, but he just didn't have time to dig the targets. So he said we could go ahead and dig. After some great conversation, we got set up and got started. Jeremy took the right side of the yard and I took the left. 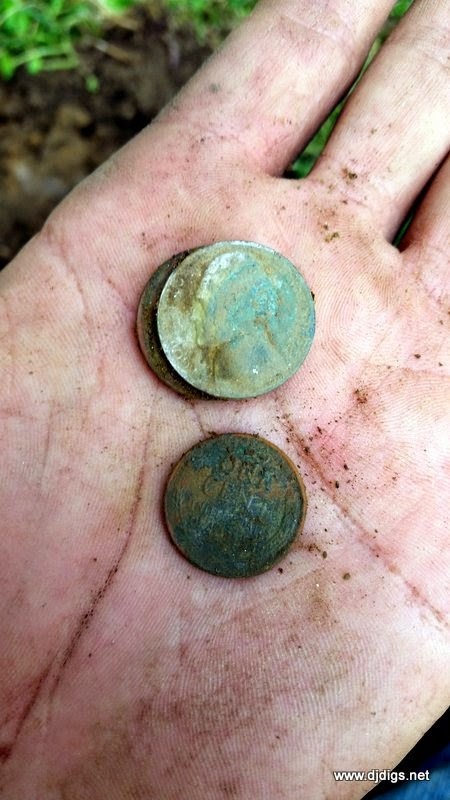 As soon as we started, we both dug wheat pennies, which is always a good sign. It's fun to hunt with a partner who is as excited as you are over every find. It's nice not to be in competition, but to be doing it just for the fun of it. 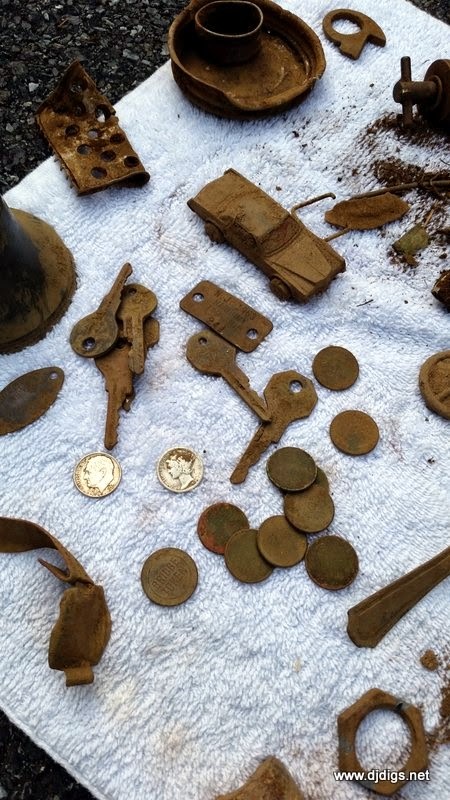 Jeremy's been at it for a couple of years now and has some really nice finds. He's amassed a nice display for himself already. He's a lot like me in that he enjoys digging targets out of the ground and isn't searching just for silver or big ticket items. I usually hunt alone, but detecting with someone like-minded makes the experience that much more enjoyable, no matter what you find. 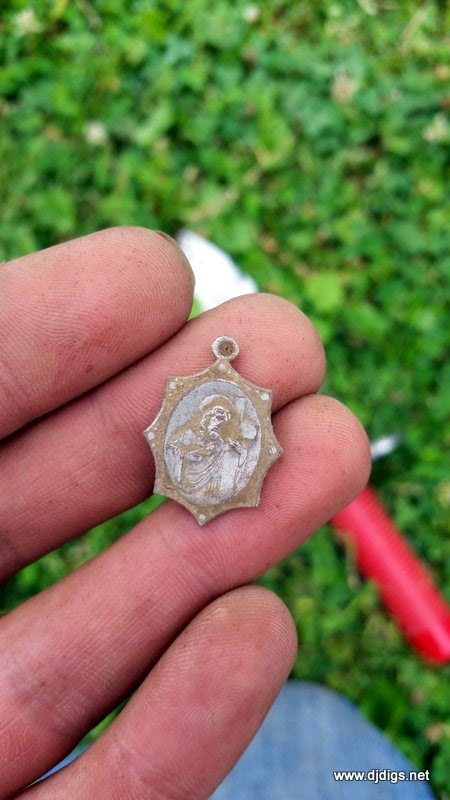 My first good target turned up a nice religious medallion alongside the sidewalk strip. 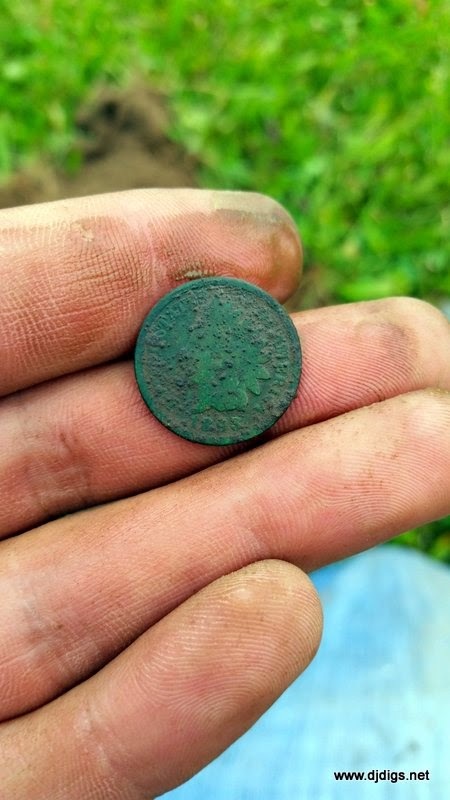 I also found a 1893 Indian Head penny. Jeremy ended up with a handful of wheaties and a bunch of neat relics. We decided to wrap it up. Unfortunately the family left while we were digging and we didn't get to say goodbye. But we left our contact info. The homeowners were so cool, we talked to the husband and wife for a while and it turns out we have mutual friends. I look forward to stopping back and seeing them again. They're good people. We packed up and drove down the road, once again looking for a site to approach for permission. We talked for a few minutes and agreed on stopping at a really cool 300 year old stone house, built right along the main road. When we arrived, Jeremy looked at me and said, "I got this one." I'm not gonna lie. I was a little happy, I could use a break. But it was a short one, because within two minutes, Jeremy was waving me over to talk to the homeowner. I was truly impressed. The homeowner was a nice man named George. He was more than happy to let us dig around. He did mention that it's already been detected a few times. I remember talking with Jeremy a while ago about this and we agreed that we shouldn't let that discourage you from giving it a shot. George told us some awesome history about his place. It turns out that it was built in 1775 and was originally a stagecoach/tavern. It is documented that the original tavern sign bore bullet holes from George Washington's troops. Our minds were racing with the possibilities of what could be beneath these grounds, so we finished up our chat and got to it. Now that's an even better sign. Again, wheaties popped up for both Jeremy and I. The next thing you know, Jeremy yells, "I got silver!" and pulled out a nice merc. I watched him fill his plug and recheck the hole. And I saw his eyes light up. That lucky guy had another one in the hole. He pulled out another silver Rosie. The hunt was a blast. We didn't find anything super old, but we were having fun. 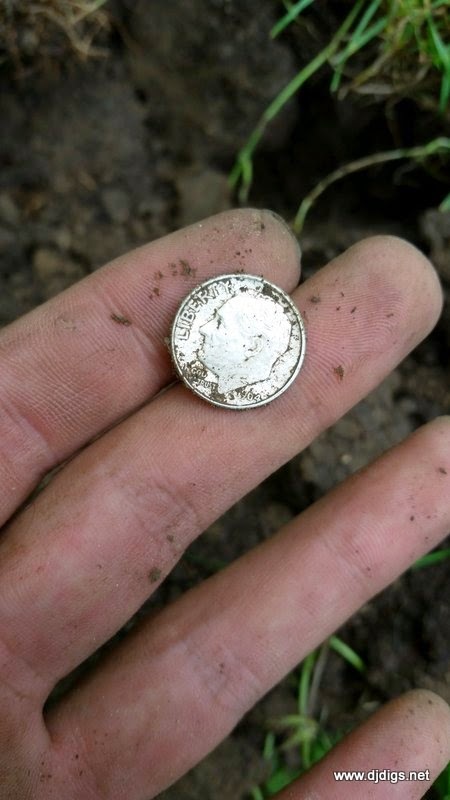 I hit an old pocketspill with two 1940's Jefferson nickels and a few wheat pennies in the same hole. 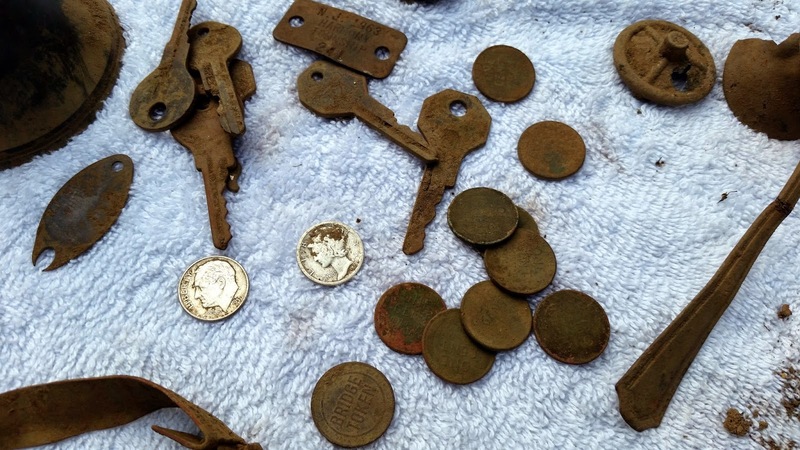 A foot away, I found another small pocketspill with a war nickel stuck to an old Jefferson, and another wheat penny. When a house has this much history, like 300 years worth of history, that also means there has been 300 years of ground manipulation, both natural and manufactured. There's also 300 years of trash. I personally love hunting colonial grounds, but it is a ton of hard work. There's usually iron everywhere and most likely a fair share of trash. This site was great, though. We didn't want to wear out our welcome, so after hunting for a little while longer, we decided to head out and said goodbye to George. We hit a local deli for a good bite to eat and then we decided to try one more site. Carissa has a friend in the area who owns an 1850's house that was a farm at one point. She graciously allowed us to dig. Her property is super tough. I've been here before and I knew it was iron infested, so I broke out the VX3 to see what I could do. I wanted to play with the VX3 settings to see if I could work through any of the iron. I chose what I thought would've been an active spot in the yard and played with the settings to try and figure it out some more. But I gotta tell ya - this yard is like no other. It is so heavily mineralized. Jeremy had the same problem. 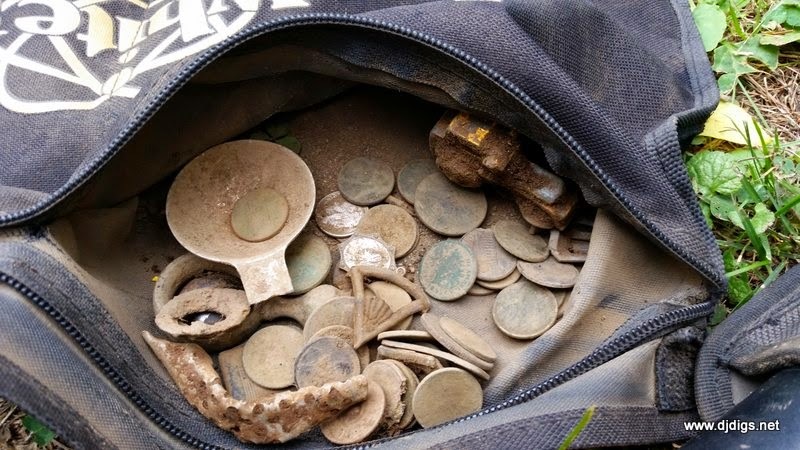 I found a few deep old milk jug lids and some deep iron nails. I really couldn't lock onto any solid targets. I did manage one cool find in this whole area. 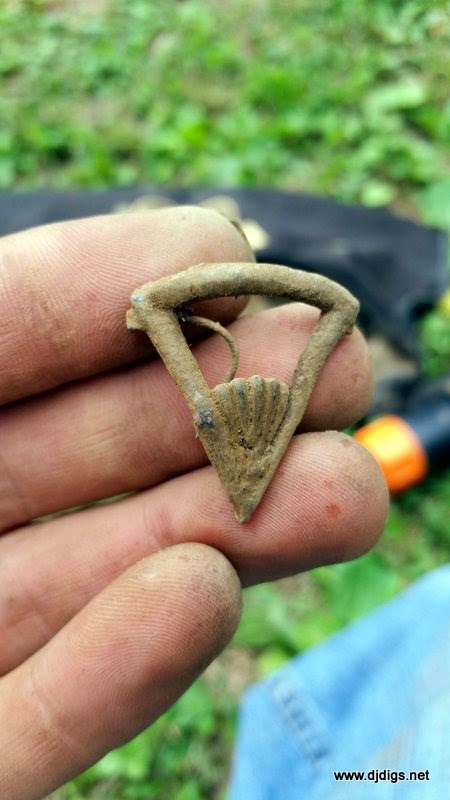 An old pin of some sort, with a shell design. I'm pretty sure Jeremy could have kept going for another six hours, but at this point, I was shot. 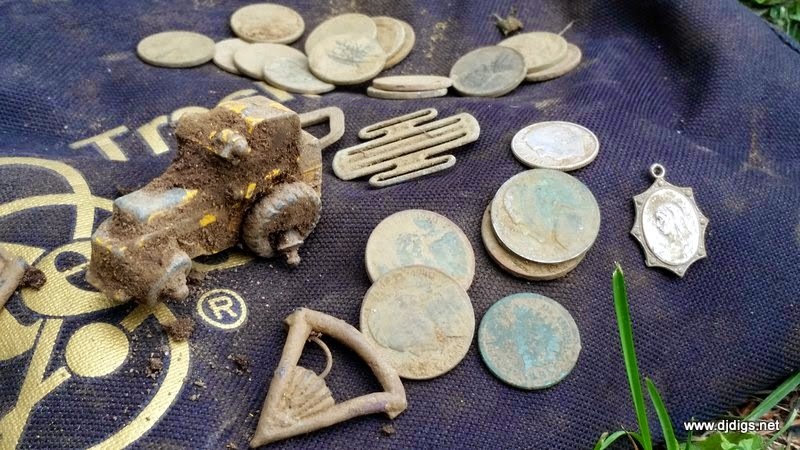 I sat down to go through my finds while Jeremy finished up. 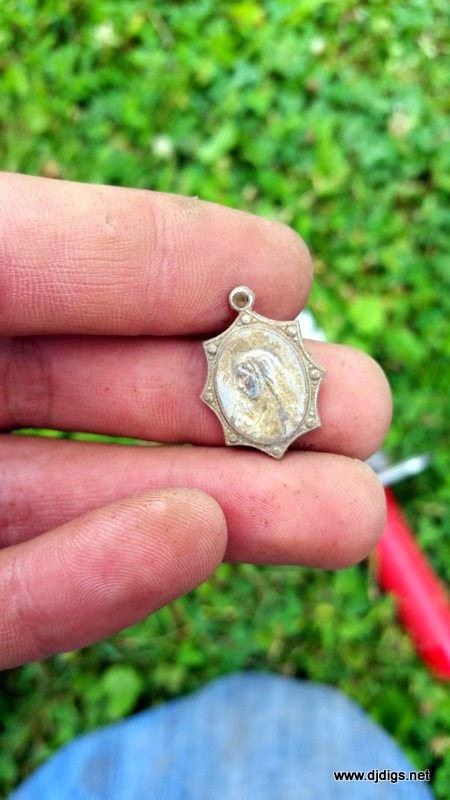 His finds were slim at this site as well. So we decided to call it a day, packed up and headed home. All-in-all, it was an awesome day. 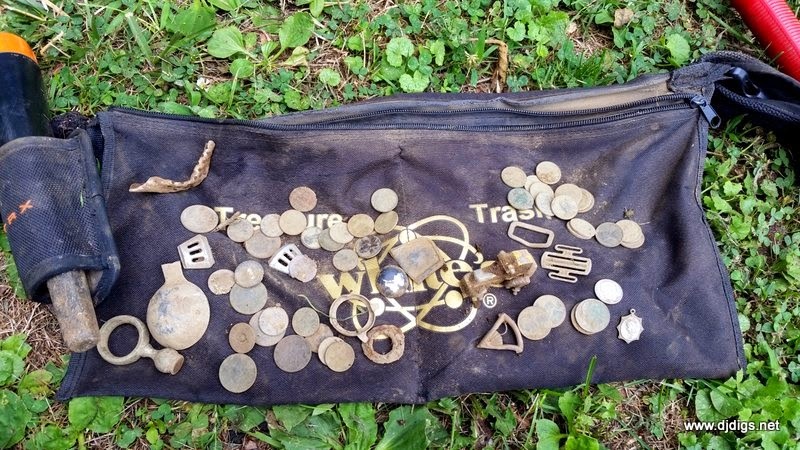 We had a good time, we both had great finds, and a lot of fun. We met cool people, saw an old friend, and found some neat stuff while we were at it. Best of all, we went 3-for-3. It's a small victory just getting permission on a random doorknock and we were lucky enough to hit three sites in one unplanned day. Do you have the Whites Deepscan 8x14 coil? If so how do you like it? Yes I do Tony and I love it. Most people are turned off by its weight. I can get some great depth with it and awesome separation. I recommend it to anyone with the mxt!